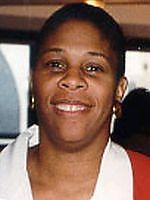 Info Lenora Fulani is a psychotherapist and political activist in the United States. She is best known for her unusual political organizations and Presidential campaigns. Lenora Fulani grew up in Chester, Pennsylvania in a working class household as Lenora Branch. She later took the name "Fulani", which is the name of a nomadic population in West Africa. Fulani's career is very closely connected with her mentor Fred Newman, a controversial psychotherapist formerly associated with Lyndon LaRouche. Newman's "social therapy" group sessions link emotional problems to social problems and seek to "deprogram" clients and then direct them to work for Marxist-influenced political agendas. Fulani became interested in Newman's ideas in the late 1970s while she was attending the City University of New York. She received post-graduate training at Newman's New York Institute for Social Therapy and would become his most famous disciple. Newman's therapy clients make up a large amount of the members in the various political parties that he has founded. The first of these was the International Workers Party, which began the "Newmanite" collective's attempts to run for public office in the mid 1970s. Fulani began as a political volunteer (she recruited Newman's 1984 presidential candidate, Dennis Serrette) before trying her own hand on the campaign trail. Her top political concerns include racial equality and gay rights. After running in various New York state elections in the 1980s, Fulani ran for President in 1988 as a member of the New Alliance Party which Newman founded. She was the first woman and the first African-American to appear on the ballot in all 50 states and took in 0.2% of the vote. Fulani ran unsuccessfully as a New York gubernatorial candidate in 1990. She was endorsed by Louis Farrakhan who had just been politically involved with Jesse Jackson's 1988 campaign only to be dropped at the recommendation of Jackson's campaign advisors. Both Farrakhan and Fulani have been critical of the Democratic Party being seen as the only political party for Blacks in the U.S.
Fulani again ran as the New Alliance candidate for President in the 1992 election, this time receiving 0.07% of the vote. She chose former Peace and Freedom Party activist Maria Elizabeth Munoz as her vice presidential candidate. Munoz previously ran for the offices of senate and governor in California. Fulani also released her autobiography, Making of a Fringe Candidate this year. In 1994, Fulani and Newman became affiliated with the Patriot Party, one of many groups which would later compete for control over Ross Perot's Reform Party in the years to come. This same year, she would with Jacqueline Salit start the Committee for a Unified Independent Party, an organization dedicated to bringing various independent groups together to challenge the bipartisan hegemony in American politics. She is now on the executive committee of the Independence Party of New York along with Newman. During the 2000 election, Fulani shocked many when she endorsed Pat Buchanan, then running on the Reform Party ticket. Some papers incorrectly reported that Fulani was Buchanan's running mate, but this position actually belonged to Ezola Foster. Fulani did however serve for a time as a campaign advisor. This was seen as a strange meeting of two ends of the political spectrum who had very little in common, though both candidates had previously been accused of anti-semitism. However, both Buchanan and Fulani related in populist language that they represented marginalized groups who were fed-up with the two-party system. Fulani later withrdrew her endorsement of the Buchanan campaign on the grounds that it had "hijacked" the Reform movement in order to further Buchanan's own right wing agenda. Foster responded to this claiming that Fulani was quite clear on Pat's objectives both before and while she worked with him. Fulani has also worked on a number of community outreach projects. In 1984, she helped found the Castillo Cultural Center in New York City which produces plays dedicated to multiculturalism. She and Fred Newman also founded the All Star Project theater group with similar intentions. This group came under fire from the Anti-Defamation League for its play titled "Crown Heights", a dramatization of the events surrounding the 1991 riots in the Brooklyn neighborhood of the same name. The ADL saw the play as distorting the Jewish role in the violence. In 1987 she began a friendship with Al Sharpton, marching with him and supporting his position in the famous Tawana Brawley case. In the years to come, Sharpton and Fulani publicly backed each other on various issues and would endorse each others' campaigns, but Fulani felt betrayed when in 1992 Sharpton ran for a New York Senate seat as a Democrat rather than as an independent.